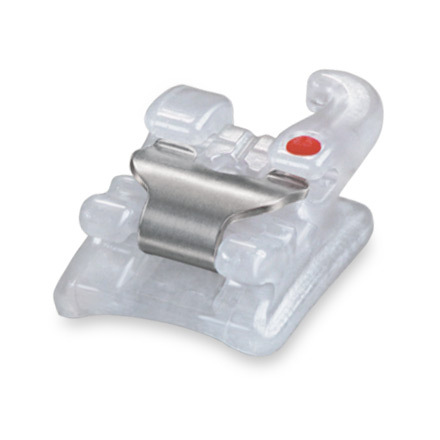 Sensation Active Ceramic Self-Ligating Brackets benefit both patient and practice by providing uncompromised aesthetics and comfort for your patients with faster treatment times for your practice. Sensational results from start to finish. The ceramic material provides strength and durability as well as a translucent appearance that is unmatched by any other bracket system. 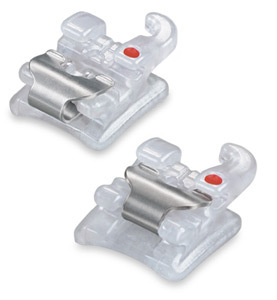 The rhodium coating on the cobalt-nickel clip increases the clip’s strength for extraordinary durability. 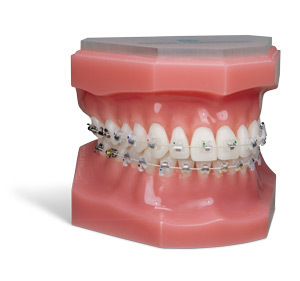 A strong mechanical bond is created on the bracket base through the use of alumina spheres. Debonding is predictable and easy. The unique guide rail ensures stable and consistent force during clip opening and closing making archwire changes a breeze. With less archwire changes, shorter office visits, and reduced chairtime, the benefits are clear. © 2017 Ortho Technology, Inc. 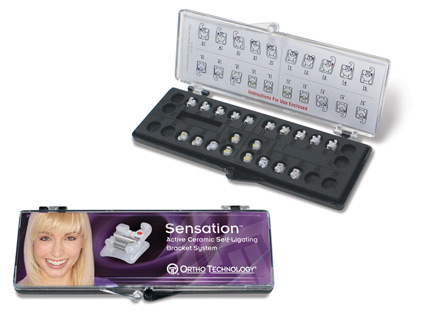 Sensation is a trademark of Ortho Technology. Empower is a registered trademark of American Orthodontics and In-Ovation is a registered trademark of DENTSPLY GAC. *For Prescription Disclaimer Information, Click Here.